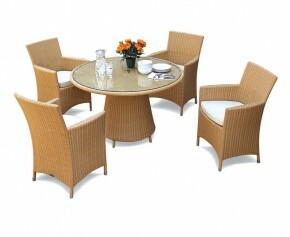 Our great value contemporary Aero round garden table and 6 chair set is easily incorporated into the decor of your patio furniture, for alfresco dining at its best. 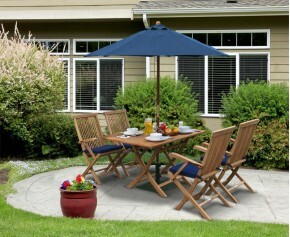 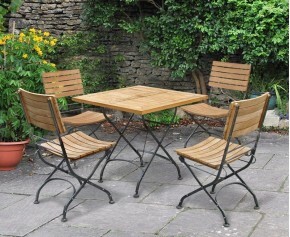 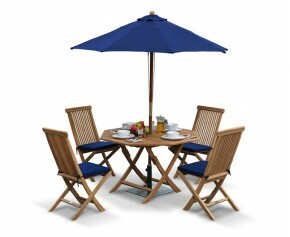 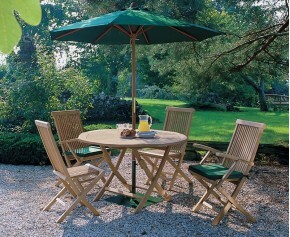 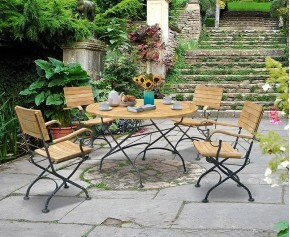 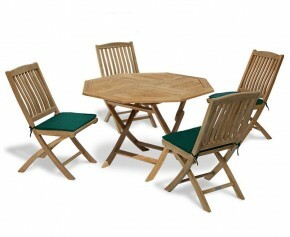 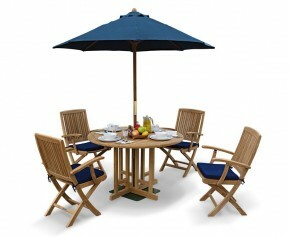 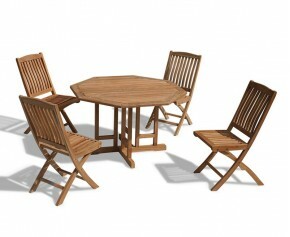 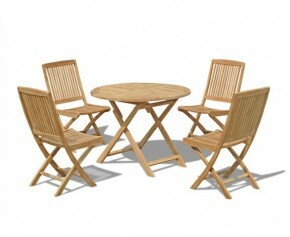 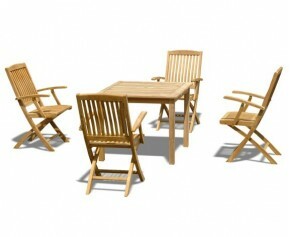 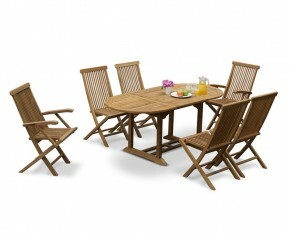 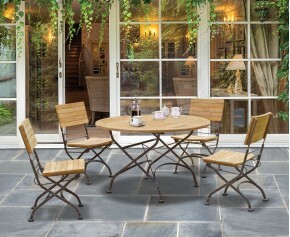 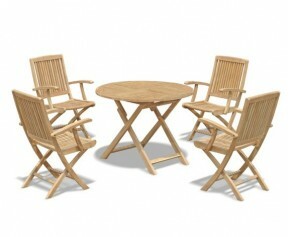 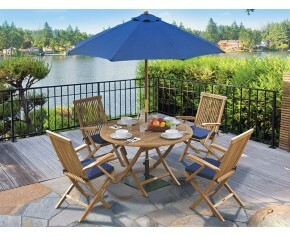 This teak patio table set will impress your family and friends. 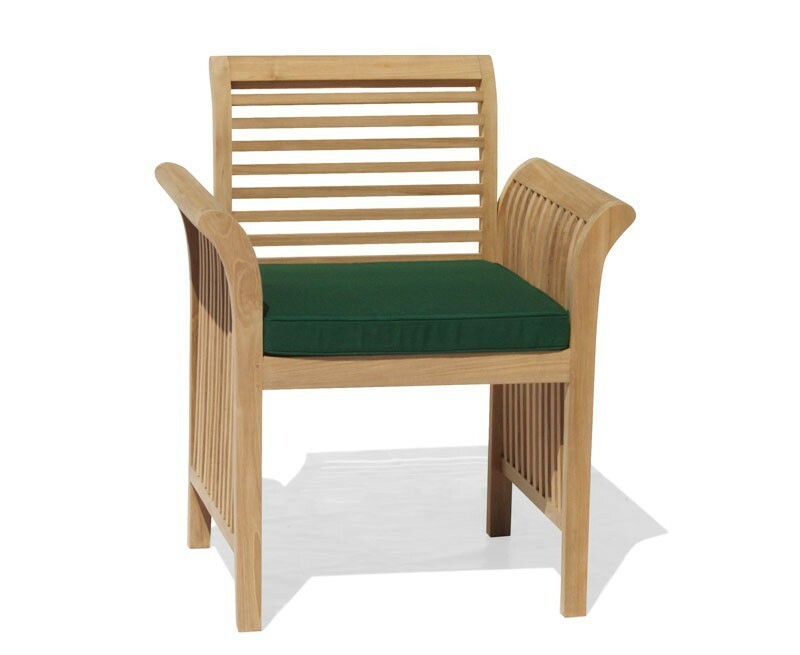 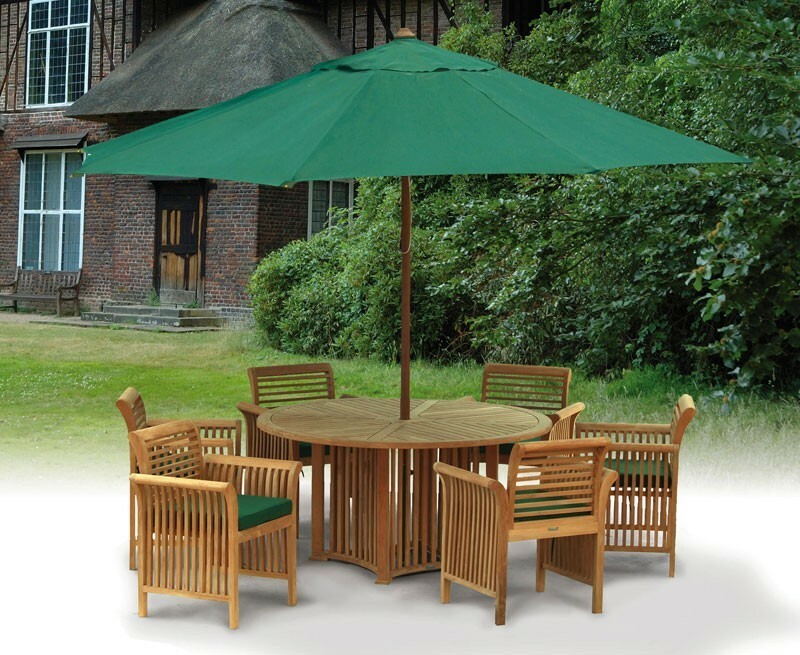 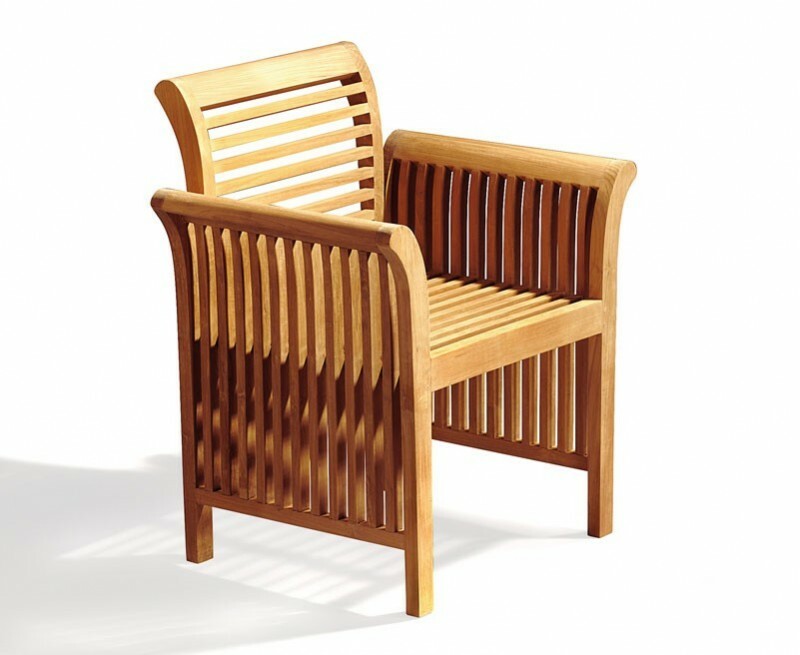 Made from durable sustainable plantation teak and with comfortable Aero chairs means this a great outdoor patio furniture set can be left outdoors year round. 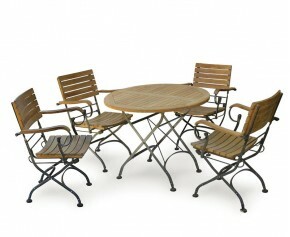 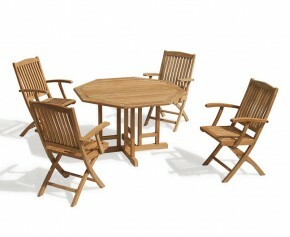 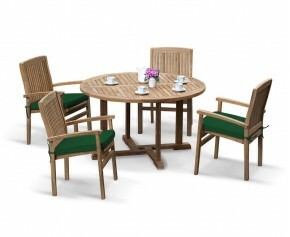 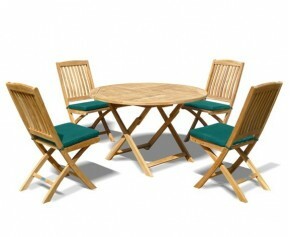 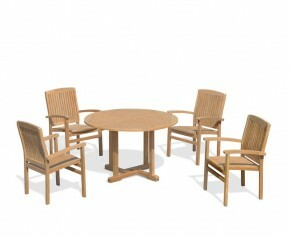 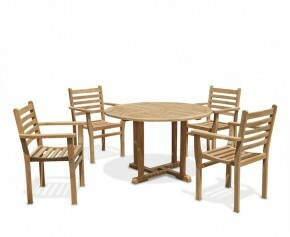 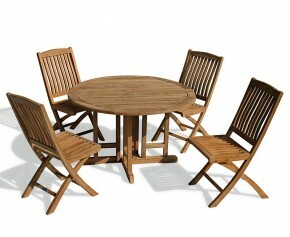 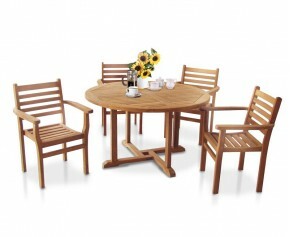 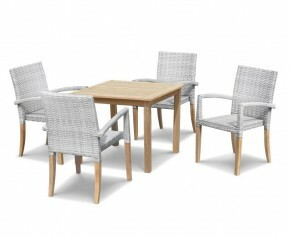 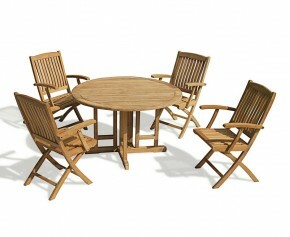 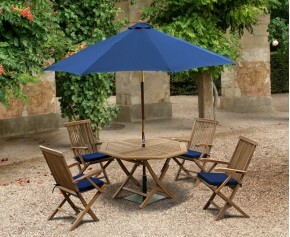 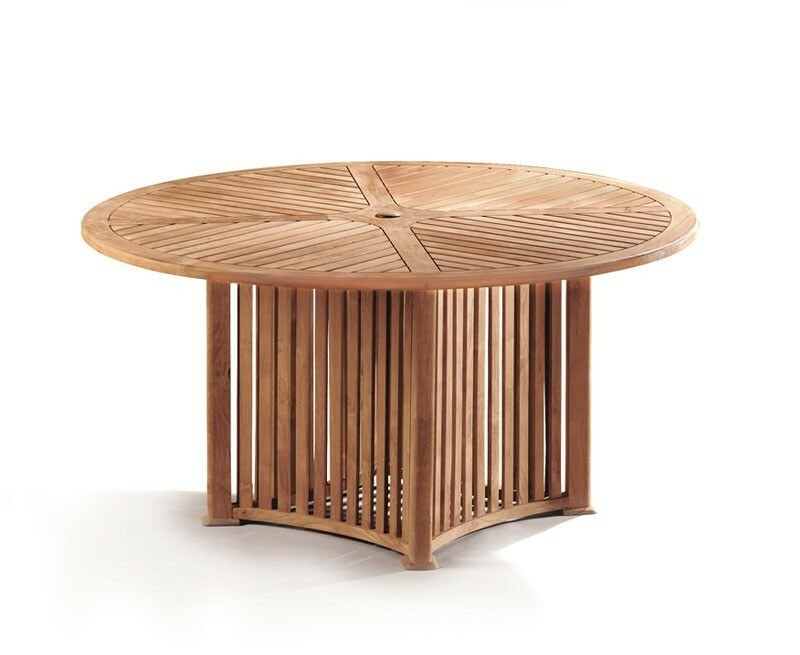 This Aero round garden table and 6 chairs set will be delivered fully assembled for your immediate enjoyment.